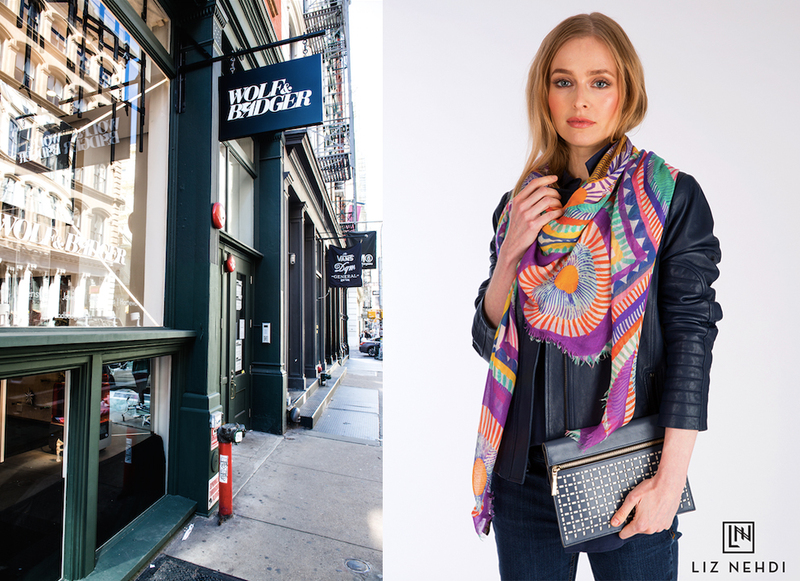 We’re thrilled to announce that you can now shop a selection of Liz Nehdi scarves at Wolf & Badger’s brand spanking new boutique in NYC. The Grand Street store is Wolf & Badger’s first permanent location outside of the UK and is situated moments away from Alexander Wang, Acne Studios and Saint Laurent. Wolf & Badger is an award-winning retailer featuring the world’s best independent designers and we’re thrilled to be among the first brands represented in their new Soho store.